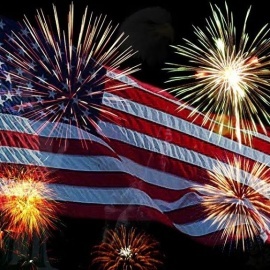 Independence Day, commonly referred to as Fourth of July is a federal holiday commemorating the adoption of the Declaration of Independence on July 4, 1776. We celebrate July 4th in St Petersburg & Clearwater Florida with fireworks, parades, backyard BBQ, fairs, baseball games, shopping for great deals, or enjoying a nice evening out with friends and family. However we choose to celebrate 4th of July 2019 in St Petersburg & Clearwater FL, we do so by honoring the the founders of our great nation. Some things to do on 4th of July weekend in St Petersburg & Clearwater Florida 2019 include camping, fishing and golfing. Want to do something at night in St Petersburg & Clearwater for July 4th 2019? 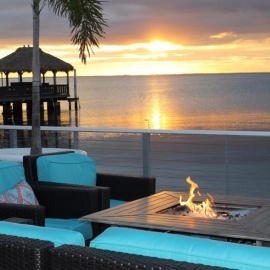 Check out the St Petersburg & Clearwater Nightlife Guide or the St Petersburg & Clearwater Restaurants Guide. If you are looking for things to do for 4th of July Independence Day in St Petersburg & Clearwater, then check out the 727area St Petersburg & Clearwater Guide. You can find events, restaurants, recreation and more. There are plenty of Events and Things to Do in St Petersburg & Clearwater for 4th of July Independence Day. Know of events in your area that are not listed below, then post events on the website to help others looking for things to do.